The Hick Life Strong T-shirt is a two sided print in black. 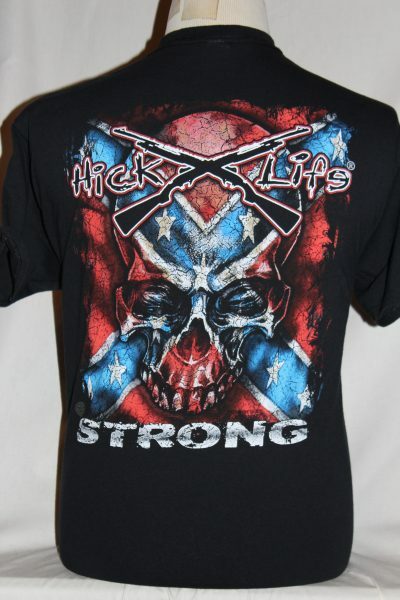 Front Design: Elongated confederate flag, skull, crossed rifles, and text. 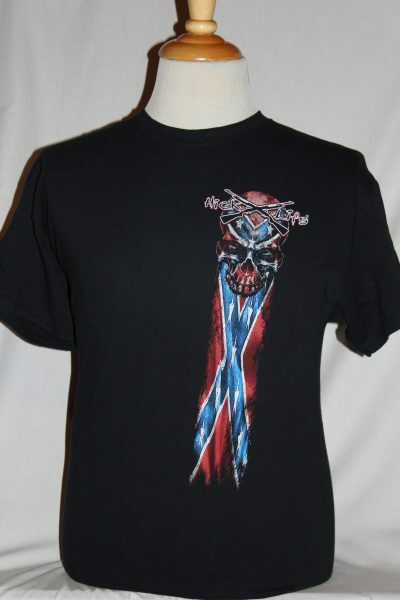 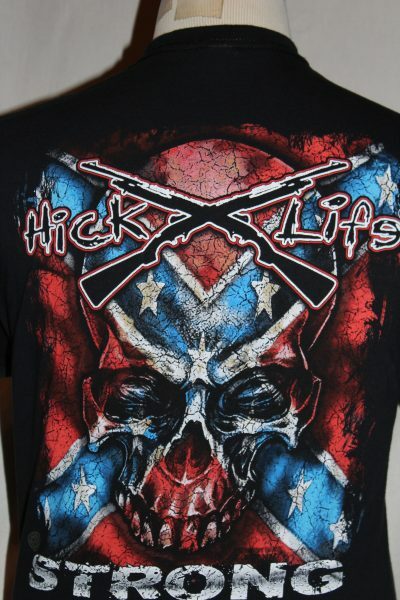 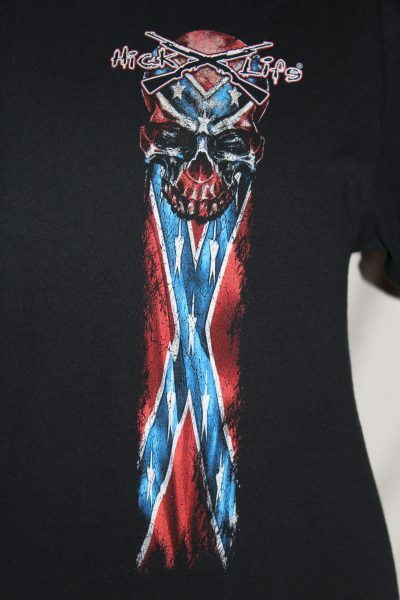 Back Design: Skull, crossed rifles, and text superimposed over confederate flag.